It takes nothing from the most enjoyable or most informative conversations you’ve ever had to say that, in all likelihood, they would probably make for lacklustre reading material. The particulars of such exchanges – ideas and jokes, disagreements and commonalities, settings and situations, and especially people and moods – all figure in what you take away from any conversation. Simply transcribing what was said, however meticulously, is always an exercise in imperfection. This is the central paradox of illustrator and designer Stefan G. Bucher’s rather wonderful yet highly flawed 100 Days of Monsters, which might best be described as a transcription of his website, DailyMonster.com. Like many online successes, that site has been diverted from its original purpose. In the beginning, Bucher intended only to post speeded-up videos of his distinctive comedic and strangely adorable monsters as he drew them. Almost immediately, those daily postings found a sizable audience. But what really breathed life into the project was the unexpected participation of its many fans, who quickly began to round out its visual content with their own narration. Using nothing more complex than the standard form of blog commenting, they wrote intricate back stories, whimsical poems, even supposed monologues on behalf of Bucher’s newly hatched monstrosities. Before too long, this groundswell reformulated the creative equation. The interchange between author and audience became as much of a raison d’être as the drawings themselves, and the interplay between Bucher’s artistic intentions and the audience’s interpretations made for a fascinating, improvisational back and forth. A conversation, in essence. As a specimen of distributed creativity – the technologically colloquial term is ‘crowdsourcing’ – DailyMonster.com has much to recommend it. Bucher’s audience reflects his genuinely likeable temperament throughout, and the communal dialogue has a spry, kinetic snap that makes for hard-to-resist Web surfing. In many ways, it is a sterling example of what only the Web makes possible. In book form, though, 100 Days of Monsters betrays the inherent difficulty of translating the conversational thrill of the Web into the documentary stasis of the printed word. The project’s inherent charms are faithfully reproduced – 100 monsters appear, and with them 100 sets of audience responses – but to surprisingly charmless effect. If anything, there is too much faithfulness to the source material. Where DailyMonster.com artfully exploited the possibility of its native medium, 100 Days of Monsters is less successful in taking advantage of what can happen between the covers of a book. Bucher, who is also the book’s designer, goes through considerable effort to create an immersive, Web-like experience with a trompe l’oeil layout of the pages. But he seems content to display his monsters in much the same way as they appear inside the relatively narrow low-resolution confines of a Web browser. The result is almost dispassionate, presenting them more like a series of scientific exhibits than their engaging, hilarious online selves. If nothing else, though, 100 Days of Monsters proves that the shortcomings of transcription do not diminish the original event. The book is not unattractive, and it is useful, at least, as a document of a robust conversation, the likes of which we can continue to expect as digital media evolves. 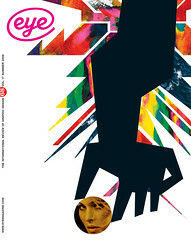 (For completists, the included DVD presents all of the original Web videos as well as a 344-page PDF containing the complete text of user-submitted content.) Unfortunately, it really only serves as evidence that something really interesting happened somewhere else. Namely, the Web. 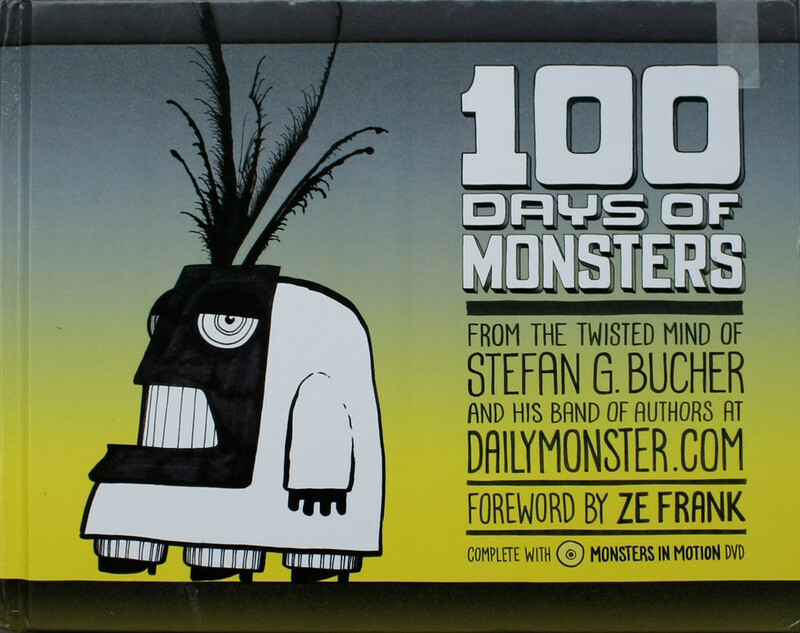 Top: Cover of 100 Days of Monsters, written, designed and illustrated by Stefan G. Bucher.